In 1874, Andrew Taylor Still MD DO (1828-1917), a medical doctor living on the Missouri frontier, discovered the significance of living anatomy in health and disease. Dr. Still realized that optimal health is possible only when all of the tissues and cells of the body function together in harmonious motion. He reasoned that disease could have its origins in slight anatomical deviation from normal. He then proved he could restore health by treating the body with his hands, naming his innovative approach osteopathy. He understood that the human body is composed of many parts, all intimately related as a functional whole. More than a hundred years ago, Dr. Still realized that the human being is more than just a physical body. He envisioned a totally new medical system that acknowledges the relationships of the body, mind, emotions and spirit. At the age of ten, young Andrew Still suffered from frequent headaches with nausea. He constructed a rope swing between two trees, eight to ten inches off the ground. He lay down using the rope for a swinging pillow. He wrote, “I lay stretched on my back, with my neck across the rope. Soon I became easy and went to sleep, got up in a little while with headache all gone.” 1 He continued to use this ‘treatment’ successfully every time he had a headache. As a practicing physician Dr. 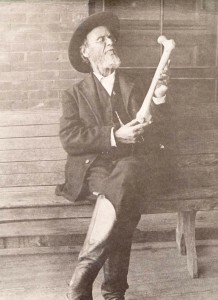 Still diligently researched and developed osteopathy. He discovered that he had the ability to put his hands on patients, change their physiology and restore health. He developed a very practical way of treating people using just his hands. Today, osteopathic physicians continue to use their hands to treat their patients in this same tradition. In the late 1800s none of today’s miracle drugs, such as antibiotics, were available. Out of necessity, Dr. Still looked first to nature’s own ability to heal and found a way to access this ability within the body. Dr. Still saw this self-correcting potential as a cornerstone of his osteopathic philosophy. When combined with appropriate use of present day medical therapeutics, osteopathy offers a profound contribution to the practice of medicine.